So, You want a CastleGuard Cane Corso? I am often asked, “What lines are your dogs?”. The answer? Mine! When I started my Corso endeavor, I purposed in my heart that I was going to create an elite, distinct line of my own. I have never been much of a follower so Castleguard’s foundation dogs were not from big named, popular kennels.… I chose dogs from obscure, functional breeders; a few from the US and a few from Italy. They were correct, healthy and had amazing temperaments. Almost 25 years later and with an occasional outcross added, Castleguard’s pedigrees are as many as 10 generations deep of OUR work. The Castleguard Bloodline is original and is esteemed worldwide. 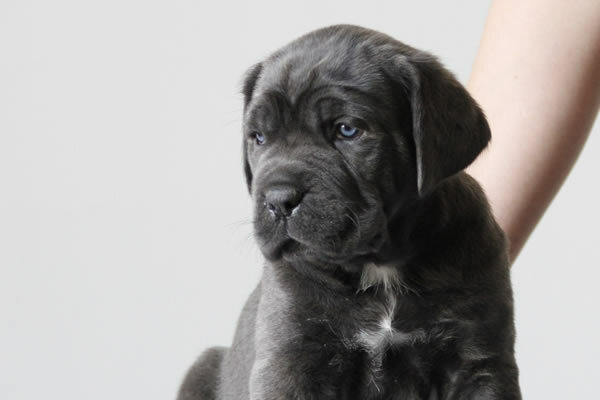 Each year, we offer a select number of Cane Corso puppies to qualified clientele. If you would like to be a part of our CastleGuard family, please review our corso availability, prices & policies, purchase process, and ownership requirements, detailed below, and contact us. We look forward to chatting with you. We expect powerful, athletic pups with loving, guardian temperaments. Chestnut brindles expected. This litter is bred for classic type and sunny personalities. Fawn/Reds expected. Each of Castleguard’s litters is planned and produced for one purpose, bringing forth the next generation of CastleGuard Excellence. We hold back puppies from every litter. We do not produce litters for the sole purpose of sales. However, because we do not retain all puppies, we make them available to a select clientele. The people we choose to add to our CastleGuard family have to meet a strict criterion and ownership requirements, proving they are the best home possible. “I am only looking for a pet”… It is important to realize that well-bred parents produce well-bred puppies. Even if you are not going to compete with your dog, you still want your companion to look like a top winning Corso, have correct functional structure, come for the healthiest stock (proven by health testing), be intelligent and devoted. You can’t make gold from lead… We start with the best to produce the best. The Price of our companion puppies is $2,800. $400 deposit. Companion Puppies are beautiful and healthy, just are not chosen by us to be a part of our program. They are good quality and are perfect for those that want an exceptional family companion. We stand behind every puppy with a written contract that covers genetic health and temperament issues. Puppies sold as companions are required to be sterilized and may not EVER be bred. The Client has the option whether to crop or not with companion pups. Price remains the same either way. We provide clients with Individual puppy personality evaluation and client matching service. We send the puppy home with comprehensive training and feeding instruction booklet, and we provide Tech support for life. The Price of our Show Prospect puppies is $3,500. $500 deposit. On occasion, we are willing to part with one of our Show Prospect puppies. We back our show puppies with a full “title” guarantee. Our puppies will be able to compete, and title, or we replace the puppy. All show prospects are sold with a co-own contract. We retain breeding rights on all show prospects males, and require puppies back from the females. All breedings must be approved. Buyers of show prospects are contractually obligated to title and health test the dog. We only choose serious show homes for these pups. We stand behind every puppy with a written contract that covers genetic health and temperament issues. About breeding rights: We do not sell dogs for the sole purpose of breeding. We have worked long and hard to establish our quality program. If you want to benefit from those years of breeding excellence, you must be willing to be mentored and earn the right to breed through titling and health testing the puppy. Because of this strict protocol, the CastleGuard reputation of always producing top winners is preserved. To maintain correct breed type, all show prospects are required to have their ears cropped unless client lives in a country in which cropping is forbidden. Deposits are non-refundable. Deposits are applied toward the total purchase price of the puppy. If a situation arises and the client isn’t able to take a puppy out of the litter they have a deposit on, they must inform CastleGuard by the time the pup is 4 weeks. The Deposit will be transferred to an upcoming litter more suitable to the client’s timing. The client may only transfer their deposits twice. As deposits are received, they are dated and placed in the file in chronological order. This is the order in which requests are fulfilled when its time to choose a puppy. We do not sale puppies based on color. We focus on proper type, structure, health, and temperament. We do not sale puppies based on color! Color is strictly cosmetic. We do produce all the colors, but we will NOT guarantee anyone that a certain color will be available. Choices for a companion puppy should be based strictly on whether that puppy will be a good fit for that home. Please read over our website and review our sales policies and ownership requirements. Call us to begin the screening process. This question and answer time allows us to get to know each other and determine if the breed is a good fit for you. We go further to discuss your particular needs in a dog. It’s at this stage that we work together to develop a puppy profile that fits your individual situation. We review the parameters fo the contract. The contract is emailed to the potential client for their review and approval.. When a contract is signed, return and deposit is submitted, the contract is dated, and the client is placed on the waiting list. NOTE! We are not like other Corso Breeders. We do not lock clients into a specific litter. Clients on the waiting list will receive email updates confirming pregnancies, birth announcements, and weekly puppy updates. As the puppies grow, we make notes regarding development and personality of puppies. NOTE: clients who are required to respond to update emails at the 5-week point in order to confirm they are interested in the said litter. Nonresponsive clients will be placed on the next “next litter” the list. At 6.5 weeks of age, we will administer the Volhard puppy aptitude test and send out, in the order of deposit received, “choosing emails” to the clients based on the puppy profile criteria developed in step 2. At that point, client has a 24-hour window to choose one of the babies presented to them or pass. Remember there are others waiting for their opportunity to choose as well. If there is no response to a choosing email, we move to the next client on the list. NOTE: Clients may “pass” on two litters that have puppies that meet the puppy criteria set in step 2. If a client does not choose in three opportunities, they are removed from the list and deposit is forfeit. EXCEPTION: If a client places a deposit and states they want it to be activated in a certain timeframe, we will hold a deposit for up to 18 months. Once you have chosen your puppy, you need to schedule your trip to Castleguard to pick up your baby. ATTENTION: Airlines will no longer ship mastiffs, if you can not pick up your puppy, please inform us ASAP so we may assist you in scheduling ground transport or Custom Delivery. Balance on puppy is due immediately upon confirming your choice. Funds must be received and in our account BEFORE ears are cropped or transport is arranged. If you are picking up your puppy and wish to pay upon arrival, you must bring cash. All puppies that are enrolled in our training program will begin at 9 weeks. Any puppies that are not picked up or transported by that age will automatically begin training, and the client will pay $250 per week until departure. This age is critical in puppy development. Socialization and training needs to begin at this time in order to continue to have a well balanced dog. Inquire for additional information on our Corso puppy training packages. Do You Have What It Takes To Own A Cane Corso? 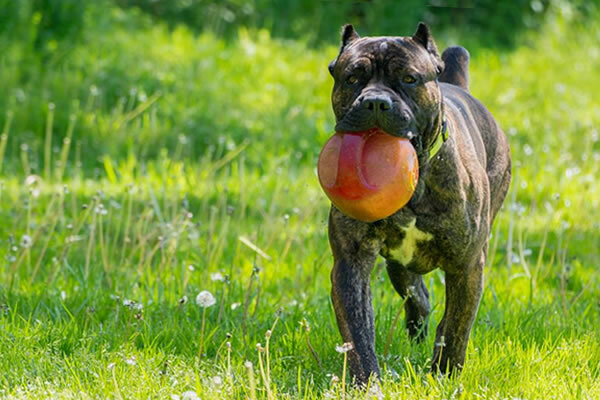 If you are considering adding a Cane Corso to your life, there are some very important guidelines and requirements you need to possess. If you cannot say “yes” to all of these points, a Corso is probably not the right breed for you, and you will not be approved to purchase from us. The Corso is a dominant, guardian breed and is not for the first time dog owner. They should only be considered by a person or family unit that is confident, assertive, and understands pack hierarchy. Any potential owner needs to understand that dominate guardian breed may exhibit bossy, even aggressive behaviors at times when growing up. The owner needs to understand how to read and correct this behavior. Postive reinforcement is certainly a useful tool when raising this breed. However, they may need a stern correction at some point. An Owner MUST be willing to draw these boundaries and make this correction without hesitation. The Corso needs room to play and the correct kind of containment. They require a secure, 6 foot high, heavy duty fenced/Barrier in an area that is NOT accessible by anyone but the family. They are NEVER to be left unsupervised outside of their containment area. This protects the dog from accidental contact with those that are not Corso savvy and avoids unpleasant incidences. They are not an apartment dog. Leaving a Corso crated in the house all day, creates health and temperament problems and should not be done. However, the Corso puppy should be crate trained. The Corso requires a tremendous amount of socialization and training. Potential owners must be able and dedicated to taking the pup out with them to training and socialization twice a week or more. The Corso is an up-close and personal type of dog. He bonds very closely with his family. If the owner is gone more than 10 hours a day for work, most of the week, the Corso is probably not the dog for that owner. A Corso is an indoor dog. They long to be with their people and don’t do well isolated. A Corso should be the only puppy in the house. Corsi need to bond with their family, not another puppy. If two puppies bond to each other, a Corso is too independent and aloof of the owner. This is a disaster. If they don’t bond to the family, they are less likely to be obedient and compliant to their owners. There should be a minimum of 8 months between puppies in a Corso home. A home should never have more than 2 dogs, running together unsupervised, that are a dominant, guardian breed. Anyone considering a Corso must make sure they are ready to make a lifelong commitment to the dog. The Corso is extremely devoted to its family/owner. It does not transfer well. To lose their family, breaks their heart. Therefore if you are not in a stable place in your life, wait until you are to get a puppy. If you are in the military and there is a chance that you will be deployed, wait for your return to get a Corso. Color should NEVER be a factor when determining which Corso is best for you. A Corso puppy needs to be chosen based on correct temperament for you, health and correct type. If there are children in the home, kids and dogs should not ever be left unattended. Proper boundaries are to be taught to both children and puppy. The owner must be willing to spend the time and be consistent to ensure the relationship between puppy and children is correct. Puppy kindergarten and basic Obedience class is a must!! The Corso is a large breed and needs to be under control at all times. The owner needs to be prepared to set aside time to personally take the puppy to class for socialization and training. Board and trains are not ideal for a corso. They need to learn to obey and bond with their people, not a trainer. The Corso isn’t Cheap to keep! Anyone considering the purchase of a Corso should realize that it is not inexpensive to buy top quality food, afford secure containment, attend obedience classes and seek proper Vet care for your dog. Buyer should be financially stable with sufficient disposable income before considering a Corso. As you can see, our Sales Policy and Requirements for Buyers are quite strict. But please understand that drawing these hard lines not only protects the breed, but also protects potential buyers that may not be be qualified to own the Corso. If you agree and can comply with this policy, we would be interested in having you join our CastleGuard family. Please contact us for more info, and about taking the next step.